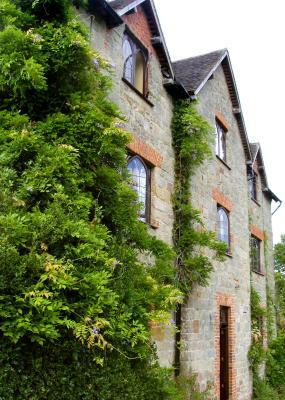 Lock in a great price for Abbey Farm Bed And Breakfast – rated 9.1 by recent guests! B&B is in a nice location and the host was very friendly and willing to accommodate me the best she could. The room was big and the bed was comfortable and I got a good nights sleep. WiFi worked well. Beautiful property and great hosts. Family room was nice and big. They gave us a lift to the pub. What excellent service. Thanks Jenny. Felt very welcome by Jenny and Bill. Very friendly and accommodating. 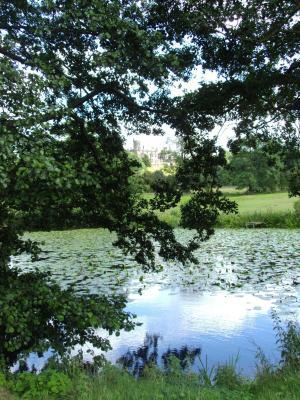 Exceptionally beautiful surroundings and highly interesting history. Helped my friend finding the place, as it was dark, rainy and hard to see the sign. Room was big with a separate, very large bathroom. Would visit again. A lovely gem and well worth staying over. Jenny is so welcoming and friendly. Breakfast is a feast. If you love staying in historic buildings this is a must. Lovely old farm and very friendly owners. Cooked breakfast was lovely. We only stayed one night but would definitely go back. Lovely property and superb, huge room! Welcomed on arrival and a super full english breakfast before leaving! Can't rate this B&B highly enough! One of our best sellers in Atherstone! 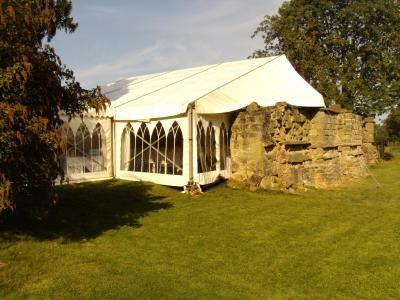 Located just outside Atherstone, Abbey Farm features an impressive history and beautiful grounds. With free Wi-Fi and cooked breakfasts, there is also free parking. 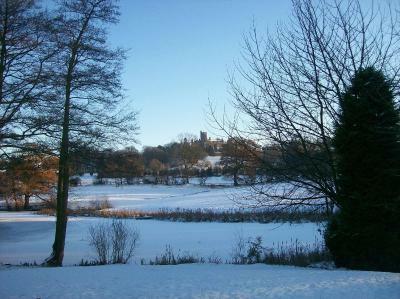 The spacious rooms are elegantly decorated, and were once home to Henry VII before the famous Battle of Bosworth. Rooms have private bathrooms, tea and coffee facilities and cozy seating areas. All have wonderful views of the Abbey Farm grounds. 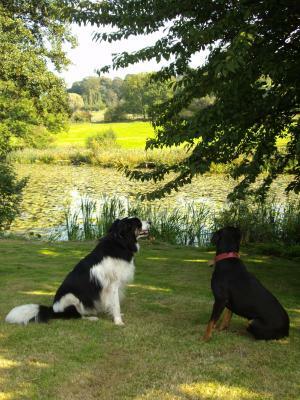 Surrounded by scenic countryside, Abbey Farm offers acres of ponds, parkland and gardens. There is a comfortable guest lounge with period features, and a traditional full English breakfast is served daily in the pleasant dining room. Just a mile from Atherstone center, Abbey Farm is 15 minutes’ drive from Nuneaton. Tamworth can be reached in 20 minutes’ drive, and lively Birmingham is a 30-minute drive away. Tamworth Snowdome is 15 minutes’ drive away. 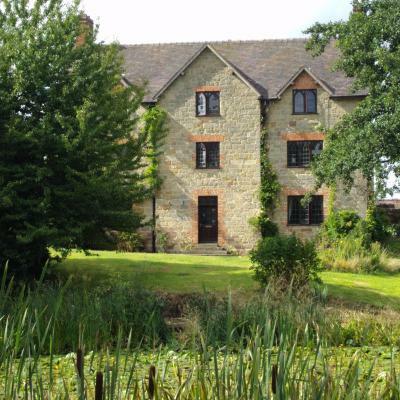 This property also has one of the top-rated locations in Atherstone! Guests are happier about it compared to other properties in the area. When would you like to stay at Abbey Farm Bed And Breakfast? This large room is located in the oldest part of the house and features views over the lake to Merevale Hall. It is equipped with a large private bathroom. This large room is at the front of the house and offers views across the lake to Merevale Hall. It comes with its own private bathroom. This room is approached by its own private staircase, it offers views towards Merevale Church and is equipped with 2 double beds and an private bathroom. The room sleeps 2 adults and 2 children and can accommodate pets with prior approval from the owners. House Rules Abbey Farm Bed And Breakfast takes special requests – add in the next step! Abbey Farm Bed And Breakfast accepts these cards and reserves the right to temporarily hold an amount prior to arrival. Bigger sign to see access. I didn’t realise that the “private bathroom” wasn’t en-suite which meant leaving my room to get to, which as a solo female traveller I always usually avoid this for safety. If this bothers you too then check which room you book. I was working in the area so checking in after work which for me was about 4pm. The heating wasn’t on yet so it was too cold for me to sit in my lovely room. Unfortunately I had to leave for a few hours and find somewhere warm in town to wait. This meant I missed taking advantage of the views from the room as it was dark when I got back. They put an extra heater in my room which was cosy by the time I returned. It’s a big room with high ceilings and wide windows so it must have taken a while to get warm. If you too feel the cold make sure you check in later! Beautiful property and location. Really peaceful. Car parking was a little tight. The room, while clean and tidy is a little bit dated and could do with some slight modernization. The sign at the road was not lit up so a bit difficult to find in the dark. Very friendly welcome. Nice genuine people who are happy to help. A lovely B&B with extremely friendly owners who went out of their way to make us feel welcome. Thank you! A lovely homely feel. Very nice couple who run it, very friendly, nothing was too nuch trouble. Very quiet location and the bedroom was very big and so was the bed which was nice and comfortable.